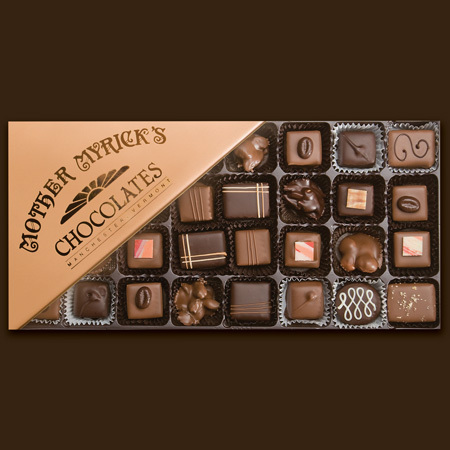 The rich chocolates in our elegant Myrick Collection speak to you. Each one is more tempting than the last! Imagine choosing velvety truffles, buttery caramels, smooth gianduja, and crisp nut clusters. Now available in two sizes. This very popular Collection is a great birthday surprise, a special "Thank You," or simply to share with someone you love.